If you were to stand in one spot at an iconic location for 30 hours and simply observe, never closing your eyes, you still wouldn’t be able to take in all the detail and emotion found in a Stephen Wilkes panorama. 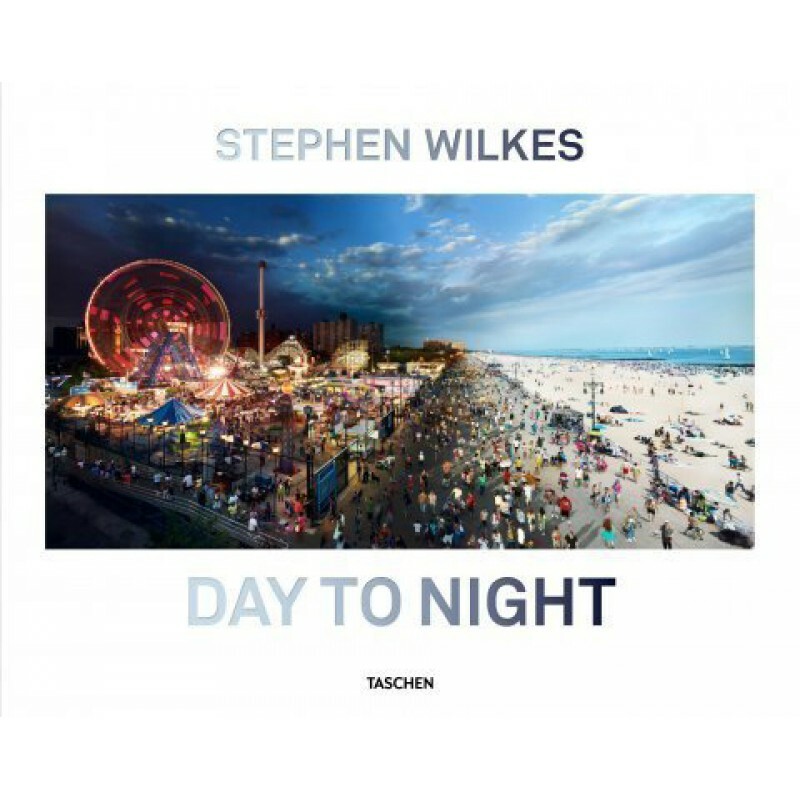 Not only does Wilkes shoot thousands of exposures from a fixed angle for more than a day; he also distills this visual information afterward in his studio, painstakingly composing selected frames into a single panorama that expresses his unique vision. A book that rewards repeated viewings, Day to Night presents 60 of these ultra-epic panoramas created between 2009 and 2017, shot everywhere from Africa’s Serengeti to the Champs-Élysées in Paris, from the Grand Canyon to Coney Island, from Trafalgar Square to Red Square. Each image is a labor of love as well as patience. Wilkes waited more than two years to gain permission to photograph Pope Francis celebrating Easter mass in the Vatican, ultimately producing a vivid tableau in which the pontiff appears 10 times. After photographing the habitat of the sandhill crane in Nebraska, he spent nearly three months reviewing thousands of images in order to produce the final panorama. Collaging up to 2,000 frames into one composition, each image takes us on a seamless trip from dawn to dark across the world’s most iconic locations; and we discover the unique ebb and flow of man-made and natural landmarks like never before. Stephen Wilkes’s work has appeared in Vanity Fair, Time, Fortune, National Geographic, Sports Illustrated, in campaigns for Nike, American Express, Sony, and Rolex, and is included in the collections of the Houston Museum of Fine Arts, Museum of the City of New York, 9/11 Memorial Museum and many more. Wilkes awards and honors include the Alfred Eisenstaedt Award for Magazine Photography and TIME Magazine Top 10 Photographs of 2012.